Conrad Sarreal specializes in the disposition and acquisition of single-tenant net-leased properties across the United States, with a specific emphasis in auto parts stores. Conrad and his team have one of the largest market shares nationally for auto parts transactions, focusing specifically on Napa Auto Parts, Autozone, Advanced Auto Parts, and O’reilly Auto Parts retailers. Conrad and his team have represented both institutional and private clients in both the buying and selling process, and they have the transactional experience in both individual assets and portfolio transactions. Aside from his ability to establish strong client relationships, Conrad’s in-depth knowledge of the market combined with his expertise in the auto parts distribution industry provides a unique value added component for his clients. 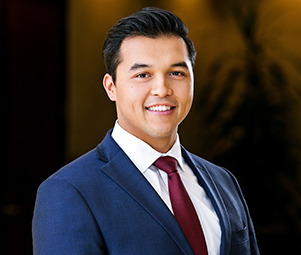 While attending college, he was a top-producing leasing agent at GHP Management’s The Lorenzo near USC, which is one of the largest student-housing communities in the nation. His education and business background complement his knowledge of the commercial real estate industry and ability to develop strong relationships with his clients.